Hi Emmaline! I’m looking at save the date cards and was wondering what I need to include on them. 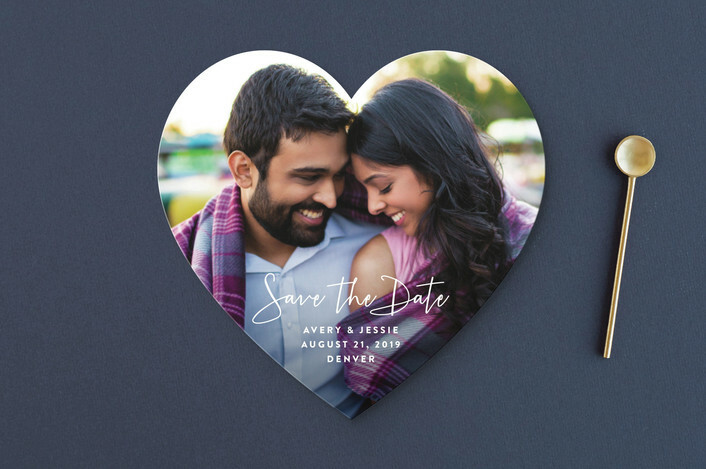 Do you have any tips on save the date wording? Thanks! 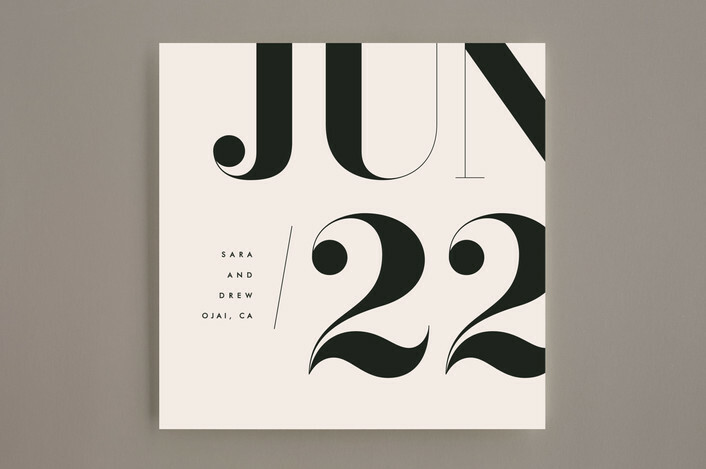 When it comes to save the date wording, simple is best. 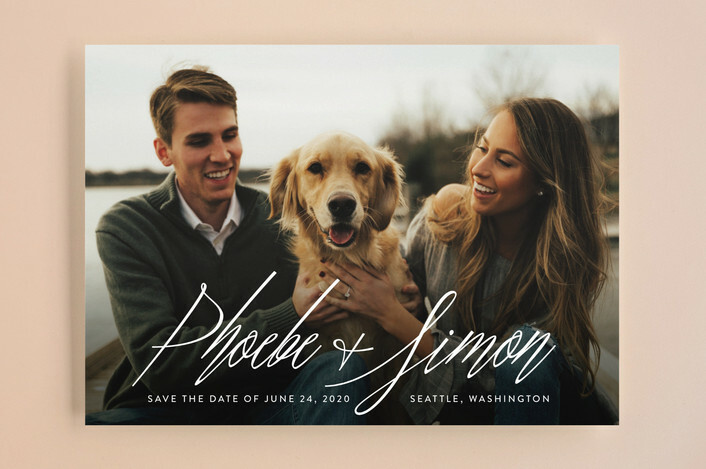 Here’s what to include on save the dates. 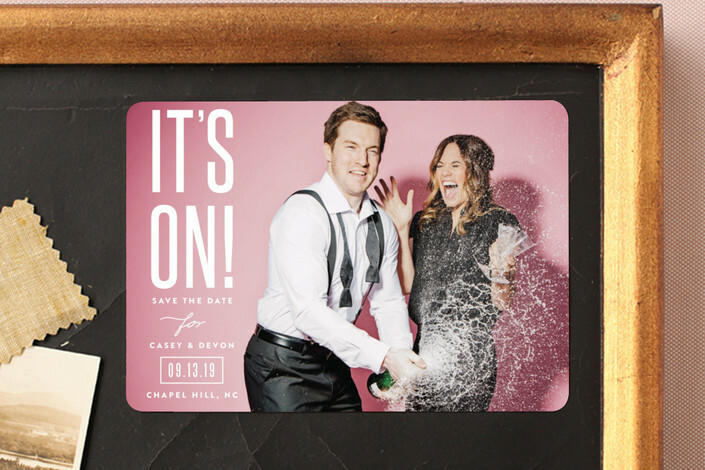 – Some variation of “save the date” i.e. save our date, a date is set, we picked a date, etc. 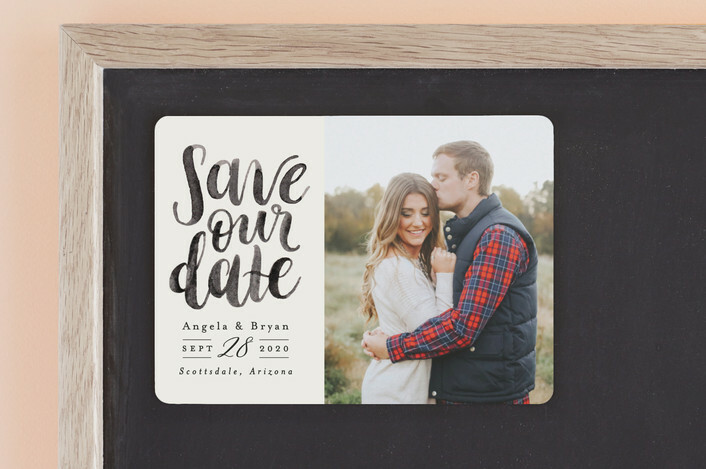 *Save the date wording of “invitation to follow” used to be a must-have, but now it’s optional. 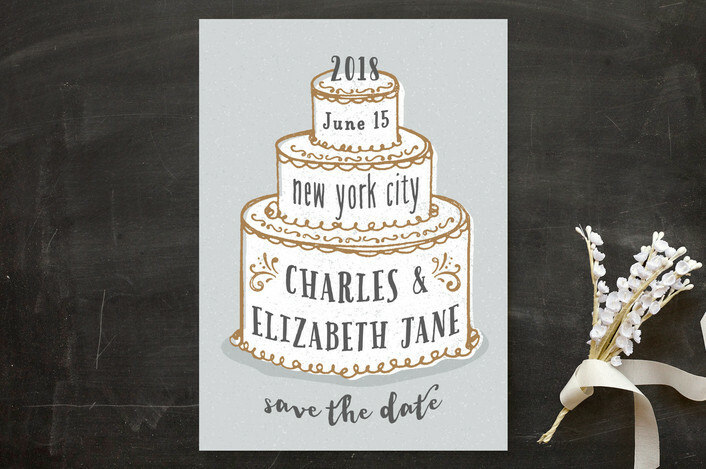 When save the dates were first introduced, guests were not sure if that was the official invitation, so this particular save the date wording was added. 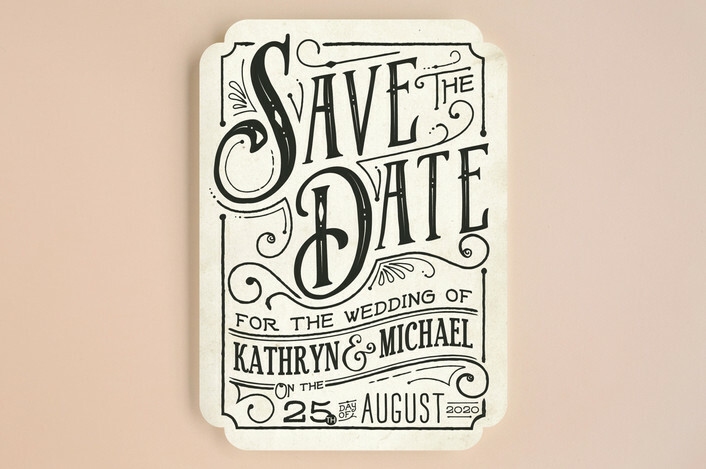 Now that save the dates are commonly used, this wording is not required. 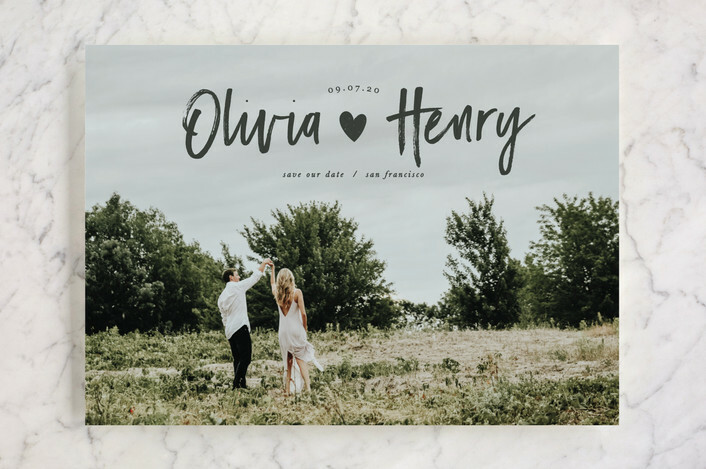 Now that you know the save the date wording that needs to go on your cards / save the date magnets, here’s some inspiration to help you pick a design! 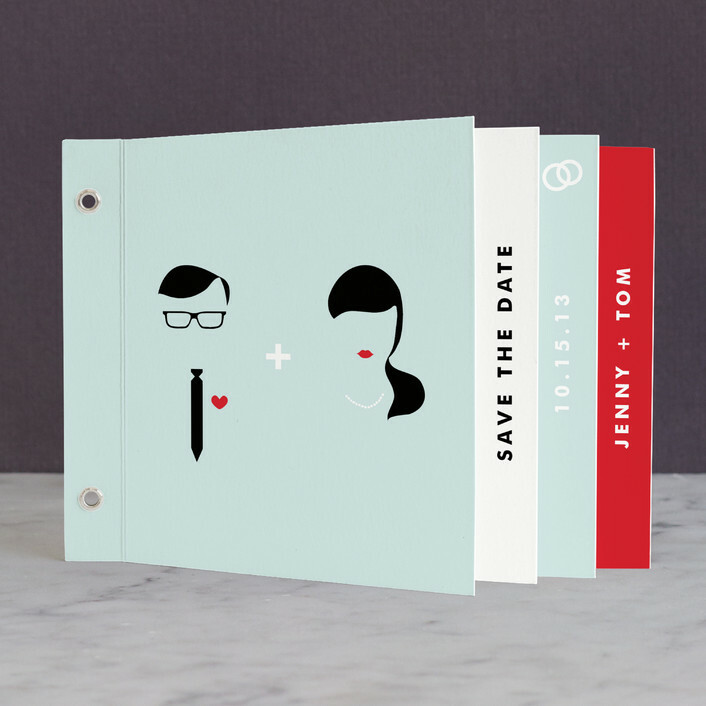 This “Save Our Date” card is adorb! Buy it here. 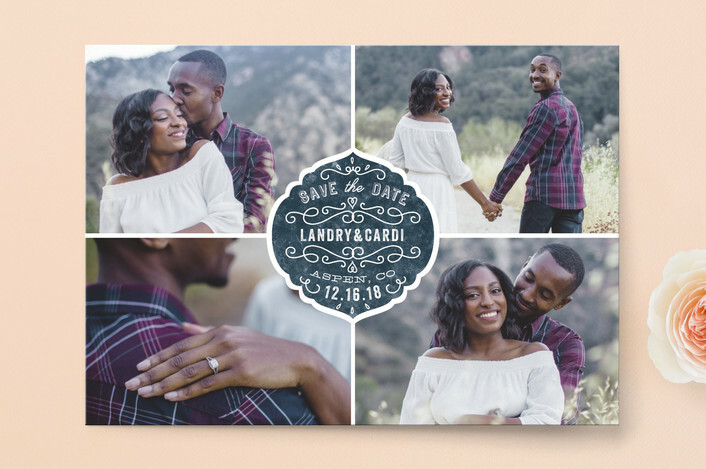 Love this save the date which gives you an opportunity to use four engagement pictures! By Bonjour Paper. “Us.” Simple, sweet, to-the-point. By Jessica Maslyn. 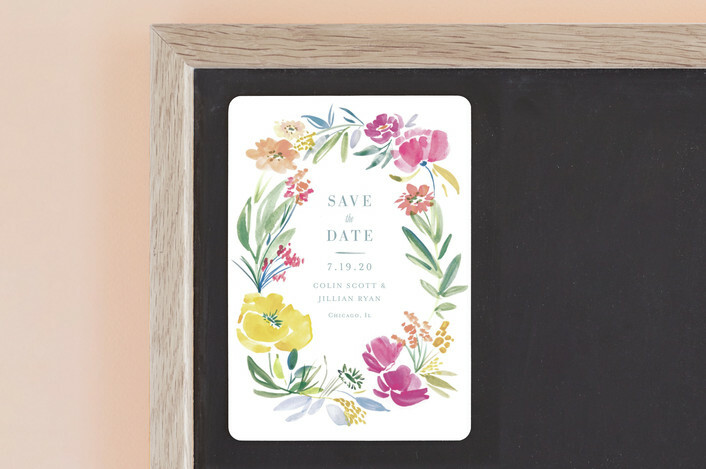 This floral save the date card is lovely. By Morgan Ramburg. I love the pink color! 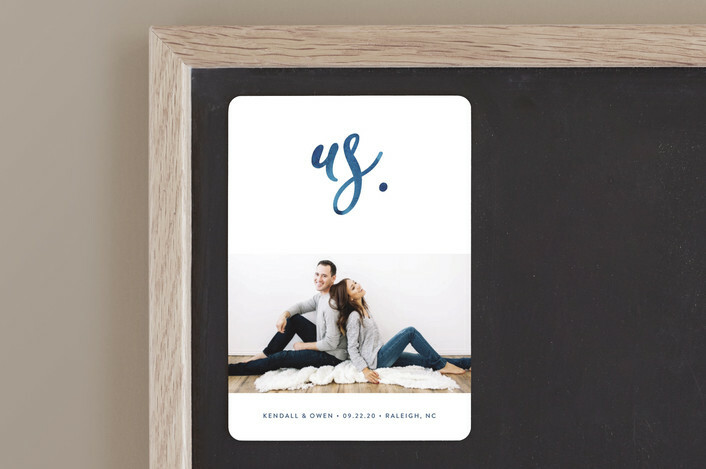 This save the date card is perfect: “our date is set”. By Paula Pecevich. This “garden lights” themed save the date has always been a favorite of mine. By Hooray Creative. P.S. While you’re at it, make sure you include your dog on your cake topper, too! Need a little gold foil? This one really sparkles! By Genna Cowsert. 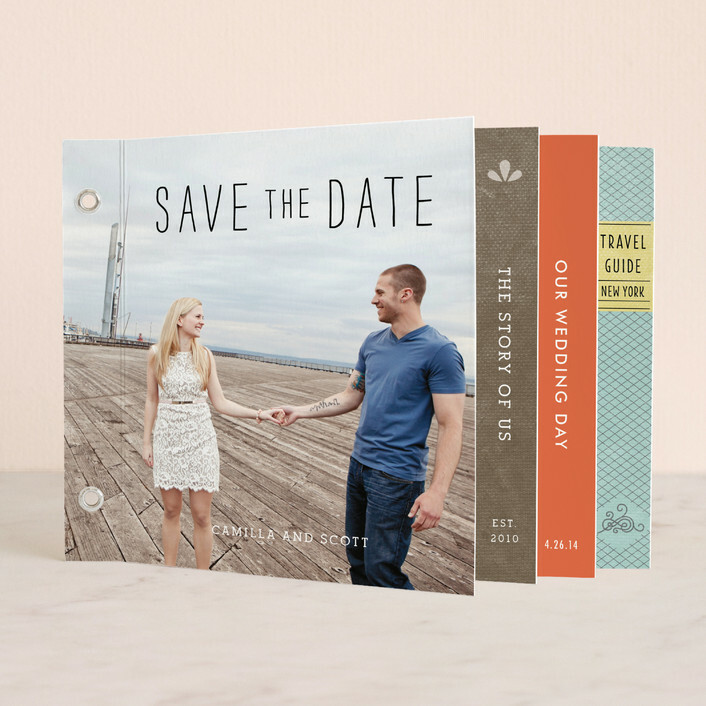 We spotted these mini-book save the dates at Minted and love ’em. They’re chock-full of info, including your unique story of how you met / the proposal / etc. By Frooted Design. And this cool vintage themed mini book from Marabou Design will definitely make a fun statement! 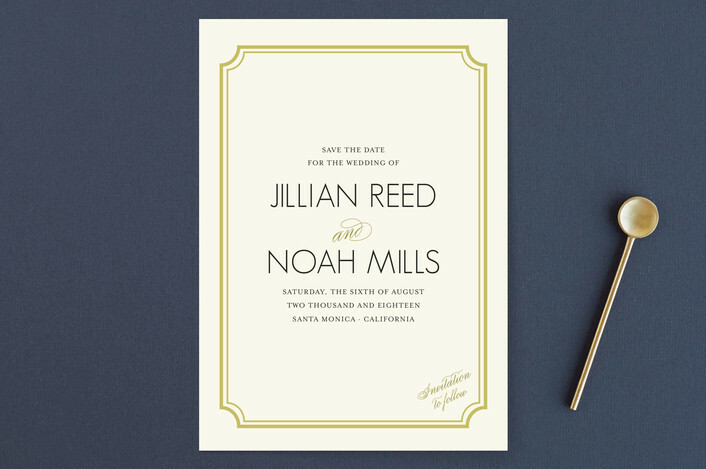 And last but not least, check out this “starlight” gold foil save the date. I love it for starry night themed weddings! By Saltwater Designs. 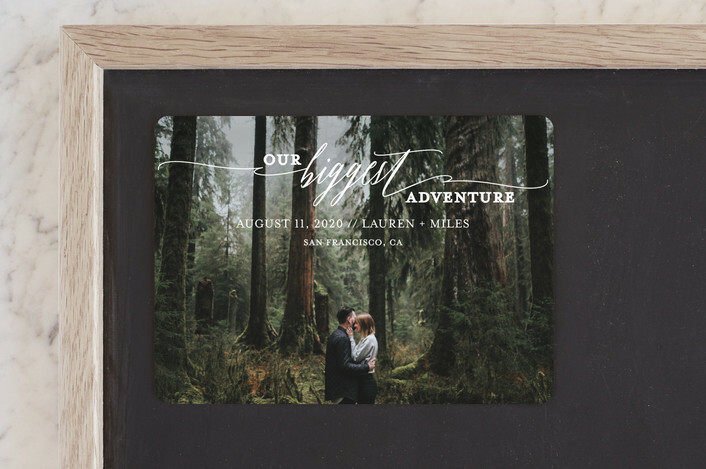 Now that you know what to include on save the dates, it’s time to cross it off your to-do list! 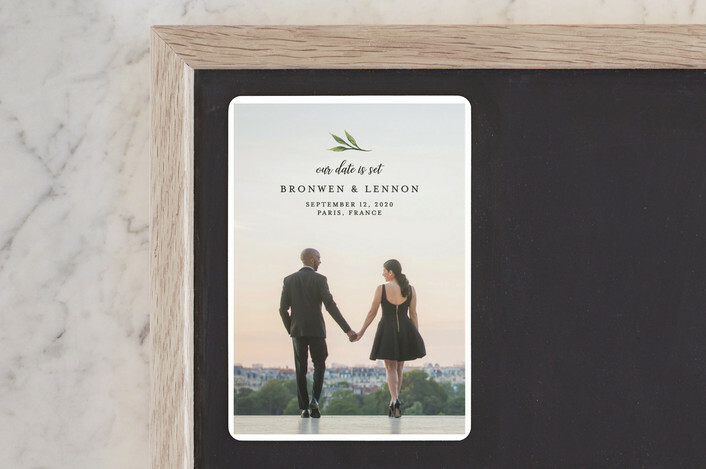 If you like a card seen here, order now and save 25% off your save the dates with code: FEBWED18 // Ends tonight: 2/26/18! Click here shop! 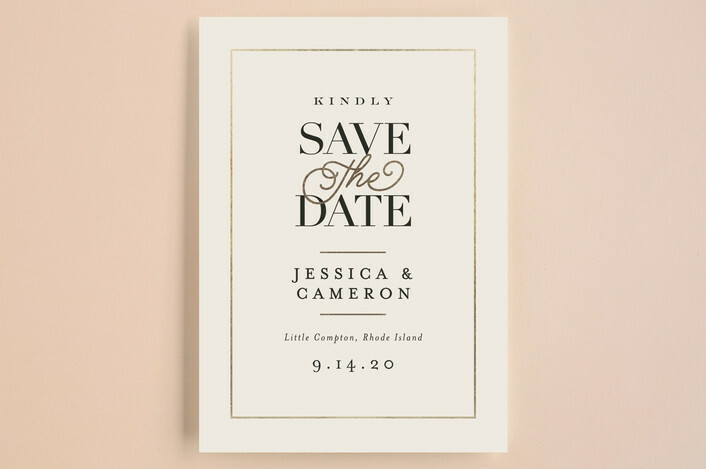 Hope this save the date wording helps as you plan your wedding! For more tips, consult my book The Inspired Wedding. And subscribe here!